Are you looking for a new Nissan Rogue for sale for your commute in Nisswa? The new Nissan Rogue has a luxurious interior and advanced safety features for peace-of-mind on the Aitkin roads. A great choice compared to the Honda CR-V, the Rogue boasts NissanConnect Services, which is powered by SiriusXMⓇ and includes Bluetooth connectivity, emergency calling, automatic collision notifications, and more! Browse our inventory of Nissan Rogue and new cars for sale and take one for a test drive today. S trim. Lane Keeping Assist, Cross-Traffic Alert, Blind Spot Monitor, Satellite Radio. FUEL EFFICIENT 32 MPG Hwy/25 MPG City! READ MORE!======KEY FEATURES INCLUDE: All Wheel Drive, Back-Up Camera, Satellite Radio, Auxiliary Audio Input, Bluetooth Connection, CD Player, Smart Device Integration, Lane Keeping Assist, Cross-Traffic Alert, Blind Spot Monitor Rear Spoiler, MP3 Player, Keyless Entry, Remote Trunk Release, Child Safety Locks. ======EXPERTS ARE SAYING: Seventy cubic feet of cargo space helps make the Rogue one of the more versatile small SUVs on the market, while upscale cabin materials give it a classier feel than its price might suggest. -Edmunds.com. ======BUY FROM AN AWARD WINNING DEALER: At Tanner Companies we offer a broad selection of new and used Chrysler, RAM, Jeep, Dodge, and Nissan Cars, Trucks, and SUVs to Brainerd, Baxter and the surrounding St Cloud, Alexandria, and Little Falls areas. We take pride in the vehicles we sell and strive to succeed in providing an outstanding customer experience. As a leading auto dealership in our community, we are dedicated to providing our customers with great service. Fuel economy calculations based on original manufacturer data for trim engine configuration. Please confirm the accuracy of the included equipment by calling us prior to purchase. FUEL EFFICIENT 32 MPG Hwy/25 MPG City! S trim. Smart Device Integration, Blind Spot Monitor, Cross-Traffic Alert, Satellite Radio AND MORE!======KEY FEATURES INCLUDE: All Wheel Drive, Back-Up Camera, Satellite Radio, iPod/MP3 Input, Bluetooth, CD Player, Lane Keeping Assist, Smart Device Integration, Blind Spot Monitor, Cross-Traffic Alert Rear Spoiler, MP3 Player, Keyless Entry, Remote Trunk Release, Steering Wheel Controls. ======EXPERTS REPORT: Edmunds.com explains Seventy cubic feet of cargo space helps make the Rogue one of the more versatile small SUVs on the market, while upscale cabin materials give it a classier feel than its price might suggest.. ======OUR OFFERINGS: At Tanner Companies we offer a broad selection of new and used Chrysler, RAM, Jeep, Dodge, and Nissan Cars, Trucks, and SUVs to Brainerd, Baxter and the surrounding St Cloud, Alexandria, and Little Falls areas. We take pride in the vehicles we sell and strive to succeed in providing an outstanding customer experience. As a leading auto dealership in our community, we are dedicated to providing our customers with great service. Fuel economy calculations based on original manufacturer data for trim engine configuration. Please confirm the accuracy of the included equipment by calling us prior to purchase. S trim. FUEL EFFICIENT 32 MPG Hwy/25 MPG City! Smart Device Integration, Blind Spot Monitor, Cross-Traffic Alert, Satellite Radio CLICK NOW!======KEY FEATURES INCLUDE: All Wheel Drive, Back-Up Camera, Satellite Radio, iPod/MP3 Input, Bluetooth, CD Player, Lane Keeping Assist, Smart Device Integration, Blind Spot Monitor, Cross-Traffic Alert. Rear Spoiler, MP3 Player, Keyless Entry, Remote Trunk Release, Steering Wheel Controls. ======EXPERTS ARE SAYING: Edmunds.com explains Seventy cubic feet of cargo space helps make the Rogue one of the more versatile small SUVs on the market, while upscale cabin materials give it a classier feel than its price might suggest.. ======BUY FROM AN AWARD WINNING DEALER: At Tanner Companies we offer a broad selection of new and used Chrysler, RAM, Jeep, Dodge, and Nissan Cars, Trucks, and SUVs to Brainerd, Baxter and the surrounding St Cloud, Alexandria, and Little Falls areas. We take pride in the vehicles we sell and strive to succeed in providing an outstanding customer experience. As a leading auto dealership in our community, we are dedicated to providing our customers with great service. Fuel economy calculations based on original manufacturer data for trim engine configuration. Please confirm the accuracy of the included equipment by calling us prior to purchase. S trim. FUEL EFFICIENT 32 MPG Hwy/25 MPG City! Smart Device Integration, Blind Spot Monitor, Cross-Traffic Alert, Satellite Radio SEE MORE!======KEY FEATURES INCLUDE: All Wheel Drive, Back-Up Camera, Satellite Radio, iPod/MP3 Input, Bluetooth, CD Player, Lane Keeping Assist, Smart Device Integration, Blind Spot Monitor, Cross-Traffic Alert. Rear Spoiler, MP3 Player, Keyless Entry, Remote Trunk Release, Steering Wheel Controls. ======EXPERTS ARE SAYING: Edmunds.com explains Seventy cubic feet of cargo space helps make the Rogue one of the more versatile small SUVs on the market, while upscale cabin materials give it a classier feel than its price might suggest.. ======MORE ABOUT US: At Tanner Companies we offer a broad selection of new and used Chrysler, RAM, Jeep, Dodge, and Nissan Cars, Trucks, and SUVs to Brainerd, Baxter and the surrounding St Cloud, Alexandria, and Little Falls areas. We take pride in the vehicles we sell and strive to succeed in providing an outstanding customer experience. As a leading auto dealership in our community, we are dedicated to providing our customers with great service. Fuel economy calculations based on original manufacturer data for trim engine configuration. Please confirm the accuracy of the included equipment by calling us prior to purchase. Lane Keeping Assist, Cross-Traffic Alert, Blind Spot Monitor, Satellite Radio. S trim. FUEL EFFICIENT 32 MPG Hwy/25 MPG City! CLICK ME!======KEY FEATURES INCLUDE: All Wheel Drive, Back-Up Camera, Satellite Radio, Auxiliary Audio Input, Bluetooth Connection, CD Player, Smart Device Integration, Lane Keeping Assist, Cross-Traffic Alert, Blind Spot Monitor. Rear Spoiler, MP3 Player, Keyless Entry, Remote Trunk Release, Child Safety Locks. ======EXPERTS ARE SAYING: Seventy cubic feet of cargo space helps make the Rogue one of the more versatile small SUVs on the market, while upscale cabin materials give it a classier feel than its price might suggest. -Edmunds.com. ======OUR OFFERINGS: At Tanner Companies we offer a broad selection of new and used Chrysler, RAM, Jeep, Dodge, and Nissan Cars, Trucks, and SUVs to Brainerd, Baxter and the surrounding St Cloud, Alexandria, and Little Falls areas. We take pride in the vehicles we sell and strive to succeed in providing an outstanding customer experience. As a leading auto dealership in our community, we are dedicated to providing our customers with great service. Fuel economy calculations based on original manufacturer data for trim engine configuration. Please confirm the accuracy of the included equipment by calling us prior to purchase. S trim. EPA 32 MPG Hwy/25 MPG City! Smart Device Integration, Blind Spot Monitor, Cross-Traffic Alert, Satellite Radio, CD Player SEE MORE!======KEY FEATURES INCLUDE: All Wheel Drive, Back-Up Camera, Satellite Radio, iPod/MP3 Input, Bluetooth, CD Player, Lane Keeping Assist, Smart Device Integration, Blind Spot Monitor, Cross-Traffic Alert. Rear Spoiler, MP3 Player, Keyless Entry, Remote Trunk Release, Steering Wheel Controls. ======EXPERTS REPORT: Seventy cubic feet of cargo space helps make the Rogue one of the more versatile small SUVs on the market, while upscale cabin materials give it a classier feel than its price might suggest. -Edmunds.com. ======BUY FROM AN AWARD WINNING DEALER: At Tanner Companies we offer a broad selection of new and used Chrysler, RAM, Jeep, Dodge, and Nissan Cars, Trucks, and SUVs to Brainerd, Baxter and the surrounding St Cloud, Alexandria, and Little Falls areas. We take pride in the vehicles we sell and strive to succeed in providing an outstanding customer experience. As a leading auto dealership in our community, we are dedicated to providing our customers with great service. Fuel economy calculations based on original manufacturer data for trim engine configuration. Please confirm the accuracy of the included equipment by calling us prior to purchase. EPA 32 MPG Hwy/25 MPG City! Lane Keeping Assist, Cross-Traffic Alert, Blind Spot Monitor, Satellite Radio, All Wheel Drive. S trim AND MORE!======KEY FEATURES INCLUDE: All Wheel Drive, Back-Up Camera, Satellite Radio, Auxiliary Audio Input, Bluetooth Connection, CD Player, Smart Device Integration, Lane Keeping Assist, Cross-Traffic Alert, Blind Spot Monitor. Rear Spoiler, MP3 Player, Keyless Entry, Remote Trunk Release, Child Safety Locks. ======VEHICLE REVIEWS: Edmunds.com explains Seventy cubic feet of cargo space helps make the Rogue one of the more versatile small SUVs on the market, while upscale cabin materials give it a classier feel than its price might suggest.. ======OUR OFFERINGS: At Tanner Companies we offer a broad selection of new and used Chrysler, RAM, Jeep, Dodge, and Nissan Cars, Trucks, and SUVs to Brainerd, Baxter and the surrounding St Cloud, Alexandria, and Little Falls areas. We take pride in the vehicles we sell and strive to succeed in providing an outstanding customer experience. As a leading auto dealership in our community, we are dedicated to providing our customers with great service. Fuel economy calculations based on original manufacturer data for trim engine configuration. Please confirm the accuracy of the included equipment by calling us prior to purchase. S trim. Smart Device Integration, Blind Spot Monitor, Cross-Traffic Alert, Satellite Radio, CD Player. EPA 32 MPG Hwy/25 MPG City! AND MORE!======KEY FEATURES INCLUDE: All Wheel Drive, Back-Up Camera, Satellite Radio, iPod/MP3 Input, Bluetooth, CD Player, Lane Keeping Assist, Smart Device Integration, Blind Spot Monitor, Cross-Traffic Alert Rear Spoiler, MP3 Player, Keyless Entry, Remote Trunk Release, Steering Wheel Controls. ======EXPERTS ARE SAYING: Edmunds.com's review says Seventy cubic feet of cargo space helps make the Rogue one of the more versatile small SUVs on the market, while upscale cabin materials give it a classier feel than its price might suggest.. ======WHY BUY FROM US: At Tanner Companies we offer a broad selection of new and used Chrysler, RAM, Jeep, Dodge, and Nissan Cars, Trucks, and SUVs to Brainerd, Baxter and the surrounding St Cloud, Alexandria, and Little Falls areas. We take pride in the vehicles we sell and strive to succeed in providing an outstanding customer experience. As a leading auto dealership in our community, we are dedicated to providing our customers with great service. Fuel economy calculations based on original manufacturer data for trim engine configuration. Please confirm the accuracy of the included equipment by calling us prior to purchase. S trim. EPA 32 MPG Hwy/25 MPG City! Smart Device Integration, Blind Spot Monitor, Cross-Traffic Alert, Satellite Radio, CD Player CLICK ME!======KEY FEATURES INCLUDE: All Wheel Drive, Back-Up Camera, Satellite Radio, iPod/MP3 Input, Bluetooth, CD Player, Lane Keeping Assist, Smart Device Integration, Blind Spot Monitor, Cross-Traffic Alert Rear Spoiler, MP3 Player, Keyless Entry, Remote Trunk Release, Steering Wheel Controls. ======EXPERTS RAVE: Seventy cubic feet of cargo space helps make the Rogue one of the more versatile small SUVs on the market, while upscale cabin materials give it a classier feel than its price might suggest. -Edmunds.com. ======BUY FROM AN AWARD WINNING DEALER: At Tanner Companies we offer a broad selection of new and used Chrysler, RAM, Jeep, Dodge, and Nissan Cars, Trucks, and SUVs to Brainerd, Baxter and the surrounding St Cloud, Alexandria, and Little Falls areas. We take pride in the vehicles we sell and strive to succeed in providing an outstanding customer experience. As a leading auto dealership in our community, we are dedicated to providing our customers with great service. Fuel economy calculations based on original manufacturer data for trim engine configuration. Please confirm the accuracy of the included equipment by calling us prior to purchase. S trim. EPA 32 MPG Hwy/25 MPG City! Smart Device Integration, Blind Spot Monitor, Cross-Traffic Alert, Satellite Radio, CD Player CLICK ME!======KEY FEATURES INCLUDE: All Wheel Drive, Back-Up Camera, Satellite Radio, iPod/MP3 Input, Bluetooth, CD Player, Lane Keeping Assist, Smart Device Integration, Blind Spot Monitor, Cross-Traffic Alert Rear Spoiler, MP3 Player, Keyless Entry, Remote Trunk Release, Steering Wheel Controls. ======EXPERTS ARE SAYING: Edmunds.com explains Seventy cubic feet of cargo space helps make the Rogue one of the more versatile small SUVs on the market, while upscale cabin materials give it a classier feel than its price might suggest.. ======MORE ABOUT US: At Tanner Companies we offer a broad selection of new and used Chrysler, RAM, Jeep, Dodge, and Nissan Cars, Trucks, and SUVs to Brainerd, Baxter and the surrounding St Cloud, Alexandria, and Little Falls areas. We take pride in the vehicles we sell and strive to succeed in providing an outstanding customer experience. As a leading auto dealership in our community, we are dedicated to providing our customers with great service. Fuel economy calculations based on original manufacturer data for trim engine configuration. Please confirm the accuracy of the included equipment by calling us prior to purchase. Smart Device Integration, Blind Spot Monitor, Cross-Traffic Alert, Satellite Radio, CD Player. S trim. EPA 32 MPG Hwy/25 MPG City! CLICK NOW!======KEY FEATURES INCLUDE: All Wheel Drive, Back-Up Camera, Satellite Radio, iPod/MP3 Input, Bluetooth, CD Player, Lane Keeping Assist, Smart Device Integration, Blind Spot Monitor, Cross-Traffic Alert Rear Spoiler, MP3 Player, Keyless Entry, Remote Trunk Release, Steering Wheel Controls. ======EXPERTS REPORT: Seventy cubic feet of cargo space helps make the Rogue one of the more versatile small SUVs on the market, while upscale cabin materials give it a classier feel than its price might suggest. -Edmunds.com. ======WHO WE ARE: At Tanner Companies we offer a broad selection of new and used Chrysler, RAM, Jeep, Dodge, and Nissan Cars, Trucks, and SUVs to Brainerd, Baxter and the surrounding St Cloud, Alexandria, and Little Falls areas. We take pride in the vehicles we sell and strive to succeed in providing an outstanding customer experience. As a leading auto dealership in our community, we are dedicated to providing our customers with great service. Fuel economy calculations based on original manufacturer data for trim engine configuration. Please confirm the accuracy of the included equipment by calling us prior to purchase. EPA 32 MPG Hwy/25 MPG City! S trim. Smart Device Integration, Blind Spot Monitor, Cross-Traffic Alert, Satellite Radio, CD Player AND MORE!======KEY FEATURES INCLUDE: All Wheel Drive, Back-Up Camera, Satellite Radio, iPod/MP3 Input, Bluetooth, CD Player, Lane Keeping Assist, Smart Device Integration, Blind Spot Monitor, Cross-Traffic Alert Rear Spoiler, MP3 Player, Keyless Entry, Remote Trunk Release, Steering Wheel Controls. ======EXPERTS REPORT: Seventy cubic feet of cargo space helps make the Rogue one of the more versatile small SUVs on the market, while upscale cabin materials give it a classier feel than its price might suggest. -Edmunds.com. ======OUR OFFERINGS: At Tanner Companies we offer a broad selection of new and used Chrysler, RAM, Jeep, Dodge, and Nissan Cars, Trucks, and SUVs to Brainerd, Baxter and the surrounding St Cloud, Alexandria, and Little Falls areas. We take pride in the vehicles we sell and strive to succeed in providing an outstanding customer experience. As a leading auto dealership in our community, we are dedicated to providing our customers with great service. Fuel economy calculations based on original manufacturer data for trim engine configuration. Please confirm the accuracy of the included equipment by calling us prior to purchase. EPA 32 MPG Hwy/25 MPG City! Smart Device Integration, Blind Spot Monitor, Cross-Traffic Alert, Satellite Radio, CD Player. S trim SEE MORE!======KEY FEATURES INCLUDE: All Wheel Drive, Back-Up Camera, Satellite Radio, iPod/MP3 Input, Bluetooth, CD Player, Lane Keeping Assist, Smart Device Integration, Blind Spot Monitor, Cross-Traffic Alert Rear Spoiler, MP3 Player, Keyless Entry, Remote Trunk Release, Steering Wheel Controls. ======EXPERTS ARE SAYING: Seventy cubic feet of cargo space helps make the Rogue one of the more versatile small SUVs on the market, while upscale cabin materials give it a classier feel than its price might suggest. -Edmunds.com. ======WHO WE ARE: At Tanner Companies we offer a broad selection of new and used Chrysler, RAM, Jeep, Dodge, and Nissan Cars, Trucks, and SUVs to Brainerd, Baxter and the surrounding St Cloud, Alexandria, and Little Falls areas. We take pride in the vehicles we sell and strive to succeed in providing an outstanding customer experience. As a leading auto dealership in our community, we are dedicated to providing our customers with great service. Fuel economy calculations based on original manufacturer data for trim engine configuration. Please confirm the accuracy of the included equipment by calling us prior to purchase. S trim. FUEL EFFICIENT 32 MPG Hwy/25 MPG City! Smart Device Integration, Blind Spot Monitor, Cross-Traffic Alert, Lane Keeping Assist SEE MORE!======KEY FEATURES INCLUDE: All Wheel Drive, Back-Up Camera, Satellite Radio, iPod/MP3 Input, Bluetooth, CD Player, Lane Keeping Assist, Smart Device Integration, Blind Spot Monitor, Cross-Traffic Alert Rear Spoiler, MP3 Player, Keyless Entry, Remote Trunk Release, Steering Wheel Controls. ======EXPERTS REPORT: Seventy cubic feet of cargo space helps make the Rogue one of the more versatile small SUVs on the market, while upscale cabin materials give it a classier feel than its price might suggest. -Edmunds.com. ======OUR OFFERINGS: At Tanner Companies we offer a broad selection of new and used Chrysler, RAM, Jeep, Dodge, and Nissan Cars, Trucks, and SUVs to Brainerd, Baxter and the surrounding St Cloud, Alexandria, and Little Falls areas. We take pride in the vehicles we sell and strive to succeed in providing an outstanding customer experience. As a leading auto dealership in our community, we are dedicated to providing our customers with great service. Fuel economy calculations based on original manufacturer data for trim engine configuration. Please confirm the accuracy of the included equipment by calling us prior to purchase. S trim. Smart Device Integration, Blind Spot Monitor, Cross-Traffic Alert, Lane Keeping Assist. EPA 32 MPG Hwy/25 MPG City! CLICK NOW!======KEY FEATURES INCLUDE: All Wheel Drive, Back-Up Camera, Satellite Radio, iPod/MP3 Input, Bluetooth, CD Player, Lane Keeping Assist, Smart Device Integration, Blind Spot Monitor, Cross-Traffic Alert. Rear Spoiler, MP3 Player, Keyless Entry, Remote Trunk Release, Steering Wheel Controls. ======EXPERTS ARE SAYING: Edmunds.com explains Seventy cubic feet of cargo space helps make the Rogue one of the more versatile small SUVs on the market, while upscale cabin materials give it a classier feel than its price might suggest.. ======BUY FROM AN AWARD WINNING DEALER: At Tanner Companies we offer a broad selection of new and used Chrysler, RAM, Jeep, Dodge, and Nissan Cars, Trucks, and SUVs to Brainerd, Baxter and the surrounding St Cloud, Alexandria, and Little Falls areas. We take pride in the vehicles we sell and strive to succeed in providing an outstanding customer experience. As a leading auto dealership in our community, we are dedicated to providing our customers with great service. Fuel economy calculations based on original manufacturer data for trim engine configuration. Please confirm the accuracy of the included equipment by calling us prior to purchase. S trim. Smart Device Integration, Blind Spot Monitor, Cross-Traffic Alert, Lane Keeping Assist, Satellite Radio, Back-Up Camera CLICK ME!======KEY FEATURES INCLUDE: All Wheel Drive, Back-Up Camera, Satellite Radio, iPod/MP3 Input, Bluetooth, CD Player, Lane Keeping Assist, Smart Device Integration, Blind Spot Monitor, Cross-Traffic Alert Rear Spoiler, MP3 Player, Keyless Entry, Remote Trunk Release, Steering Wheel Controls. ======EXPERTS REPORT: Edmunds.com explains Seventy cubic feet of cargo space helps make the Rogue one of the more versatile small SUVs on the market, while upscale cabin materials give it a classier feel than its price might suggest.. ======BUY FROM AN AWARD WINNING DEALER: At Tanner Companies we offer a broad selection of new and used Chrysler, RAM, Jeep, Dodge, and Nissan Cars, Trucks, and SUVs to Brainerd, Baxter and the surrounding St Cloud, Alexandria, and Little Falls areas. We take pride in the vehicles we sell and strive to succeed in providing an outstanding customer experience. As a leading auto dealership in our community, we are dedicated to providing our customers with great service. Fuel economy calculations based on original manufacturer data for trim engine configuration. Please confirm the accuracy of the included equipment by calling us prior to purchase. S trim. FUEL EFFICIENT 32 MPG Hwy/25 MPG City! Smart Device Integration, Blind Spot Monitor, Cross-Traffic Alert, Satellite Radio CLICK NOW!======KEY FEATURES INCLUDE: All Wheel Drive, Back-Up Camera, Satellite Radio, iPod/MP3 Input, Bluetooth, CD Player, Lane Keeping Assist, Smart Device Integration, Blind Spot Monitor, Cross-Traffic Alert Rear Spoiler, MP3 Player, Keyless Entry, Remote Trunk Release, Steering Wheel Controls. ======EXPERTS CONCLUDE: Edmunds.com's review says Seventy cubic feet of cargo space helps make the Rogue one of the more versatile small SUVs on the market, while upscale cabin materials give it a classier feel than its price might suggest.. ======BUY FROM AN AWARD WINNING DEALER: At Tanner Companies we offer a broad selection of new and used Chrysler, RAM, Jeep, Dodge, and Nissan Cars, Trucks, and SUVs to Brainerd, Baxter and the surrounding St Cloud, Alexandria, and Little Falls areas. We take pride in the vehicles we sell and strive to succeed in providing an outstanding customer experience. As a leading auto dealership in our community, we are dedicated to providing our customers with great service. Fuel economy calculations based on original manufacturer data for trim engine configuration. Please confirm the accuracy of the included equipment by calling us prior to purchase. Heated Seats, Remote Engine Start, Multi-Zone A/C, Lane Keeping Assist, Power Liftgate. SV trim. EPA 32 MPG Hwy/25 MPG City! CLICK NOW!======KEY FEATURES INCLUDE: All Wheel Drive, Power Liftgate, Heated Front Seat(s), Back-Up Camera, Satellite Radio, Auxiliary Audio Input, Bluetooth Connection, CD Player, Aluminum Wheels, Remote Engine Start, Multi-Zone A/C, Lane Keeping Assist, Hands-Free Liftgate, Smart Device Integration, Blind Spot Monitor. Rear Spoiler, MP3 Player, Privacy Glass, Keyless Entry, Remote Trunk Release. ======EXPERTS ARE SAYING: Edmunds.com explains Seventy cubic feet of cargo space helps make the Rogue one of the more versatile small SUVs on the market, while upscale cabin materials give it a classier feel than its price might suggest.. ======MORE ABOUT US: At Tanner Companies we offer a broad selection of new and used Chrysler, RAM, Jeep, Dodge, and Nissan Cars, Trucks, and SUVs to Brainerd, Baxter and the surrounding St Cloud, Alexandria, and Little Falls areas. We take pride in the vehicles we sell and strive to succeed in providing an outstanding customer experience. As a leading auto dealership in our community, we are dedicated to providing our customers with great service. Fuel economy calculations based on original manufacturer data for trim engine configuration. Please confirm the accuracy of the included equipment by calling us prior to purchase. S trim. Smart Device Integration, Blind Spot Monitor, Cross-Traffic Alert, Satellite Radio. FUEL EFFICIENT 32 MPG Hwy/25 MPG City! CLICK NOW!======KEY FEATURES INCLUDE: All Wheel Drive, Back-Up Camera, Satellite Radio, iPod/MP3 Input, Bluetooth, CD Player, Lane Keeping Assist, Smart Device Integration, Blind Spot Monitor, Cross-Traffic Alert. Rear Spoiler, MP3 Player, Keyless Entry, Remote Trunk Release, Steering Wheel Controls. ======EXPERTS ARE SAYING: Seventy cubic feet of cargo space helps make the Rogue one of the more versatile small SUVs on the market, while upscale cabin materials give it a classier feel than its price might suggest. -Edmunds.com. ======BUY FROM AN AWARD WINNING DEALER: At Tanner Companies we offer a broad selection of new and used Chrysler, RAM, Jeep, Dodge, and Nissan Cars, Trucks, and SUVs to Brainerd, Baxter and the surrounding St Cloud, Alexandria, and Little Falls areas. We take pride in the vehicles we sell and strive to succeed in providing an outstanding customer experience. As a leading auto dealership in our community, we are dedicated to providing our customers with great service. Fuel economy calculations based on original manufacturer data for trim engine configuration. Please confirm the accuracy of the included equipment by calling us prior to purchase. S trim. Smart Device Integration, Blind Spot Monitor, Cross-Traffic Alert, Satellite Radio. FUEL EFFICIENT 32 MPG Hwy/25 MPG City! SEE MORE!======KEY FEATURES INCLUDE: All Wheel Drive, Back-Up Camera, Satellite Radio, iPod/MP3 Input, Bluetooth, CD Player, Lane Keeping Assist, Smart Device Integration, Blind Spot Monitor, Cross-Traffic Alert. Rear Spoiler, MP3 Player, Keyless Entry, Remote Trunk Release, Steering Wheel Controls. ======EXPERTS REPORT: Edmunds.com's review says Seventy cubic feet of cargo space helps make the Rogue one of the more versatile small SUVs on the market, while upscale cabin materials give it a classier feel than its price might suggest.. ======WHO WE ARE: At Tanner Companies we offer a broad selection of new and used Chrysler, RAM, Jeep, Dodge, and Nissan Cars, Trucks, and SUVs to Brainerd, Baxter and the surrounding St Cloud, Alexandria, and Little Falls areas. We take pride in the vehicles we sell and strive to succeed in providing an outstanding customer experience. As a leading auto dealership in our community, we are dedicated to providing our customers with great service. Fuel economy calculations based on original manufacturer data for trim engine configuration. Please confirm the accuracy of the included equipment by calling us prior to purchase. 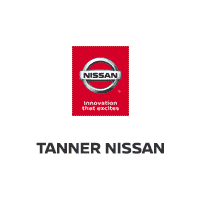 Get behind the wheel of a New Nissan Rogue at Tanner Nissan! Explore our inventory of Rogue models to find the one with all your favorite features, and contact us at Tanner Nissan today!